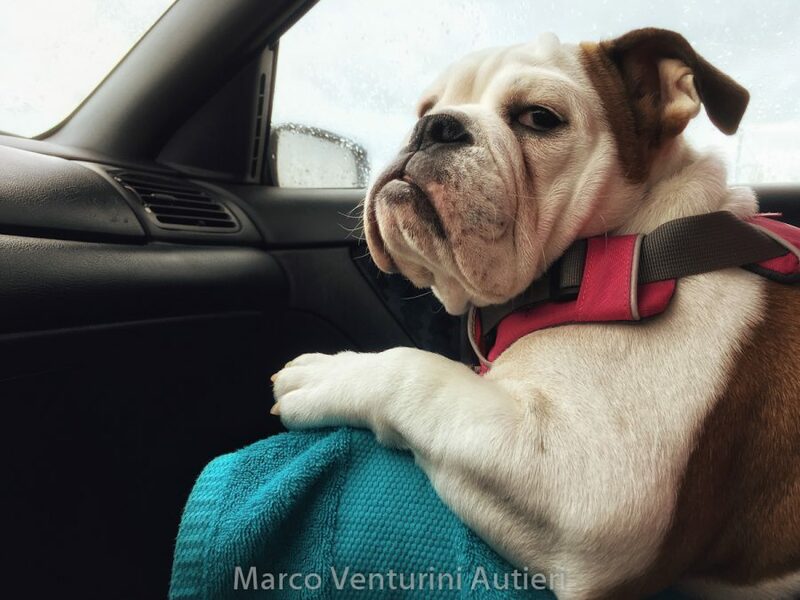 Bulldog owners already know they deal with a difficult breed. 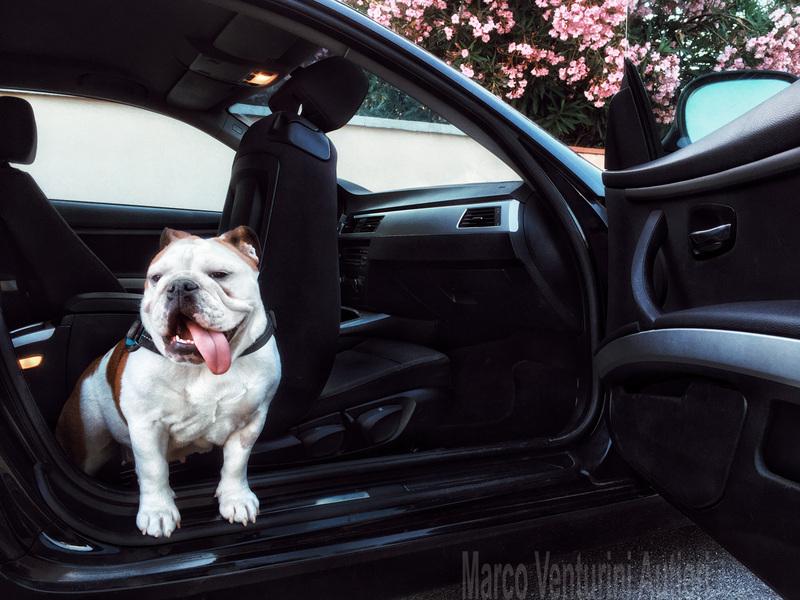 Travelling with bulldogs is just one of those aspects of bulldog ownership that require extra attention. Having organised a trip with my Dafne, I had to go through a series of issues: here they are, described together with the solutions I adopted. 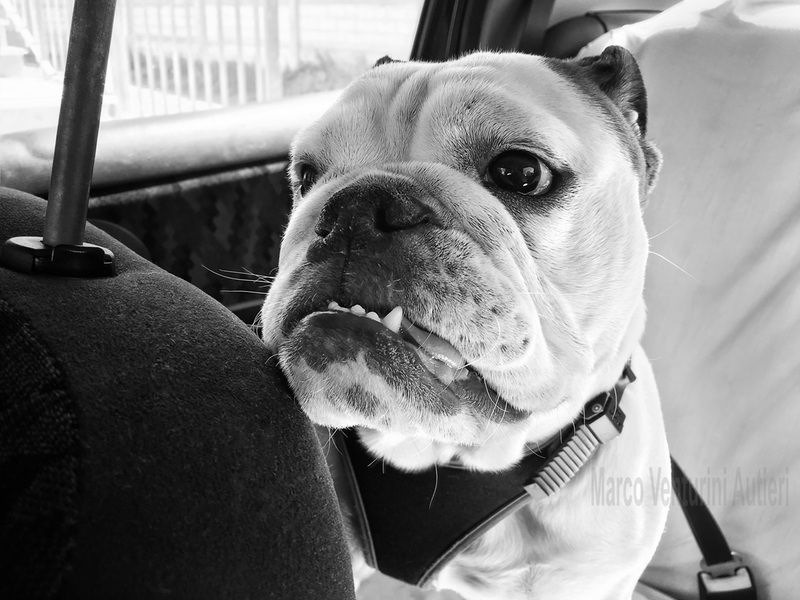 More than other breeds, bulldogs suffer hot climates: keeping them cool throughout the journey is vital. My trip happened in Summer, travelling from Tuscany to Sicily: hard to find a hotter scenario, climate-wise. I would use car plus ship. I would also stay in an accommodation that would become uncomfortably hot without aircon. Some preliminary, mildly scientific, information is needed here. Science explains the effect of temperature on humans and how we perceive it; whether humidity, wind, and other factors make us feel well. Often we read a “real feel” or “feels like” temperature indicated alongside the air temperature in weather forecasts. In fact it may happen, for instance, that if it is hot but relatively dry and windy, we don’t feel that hot. It is now important to keep in mind that the whole lot of the science behind this “feels like temperature” is designed for us humans, not the dogs. 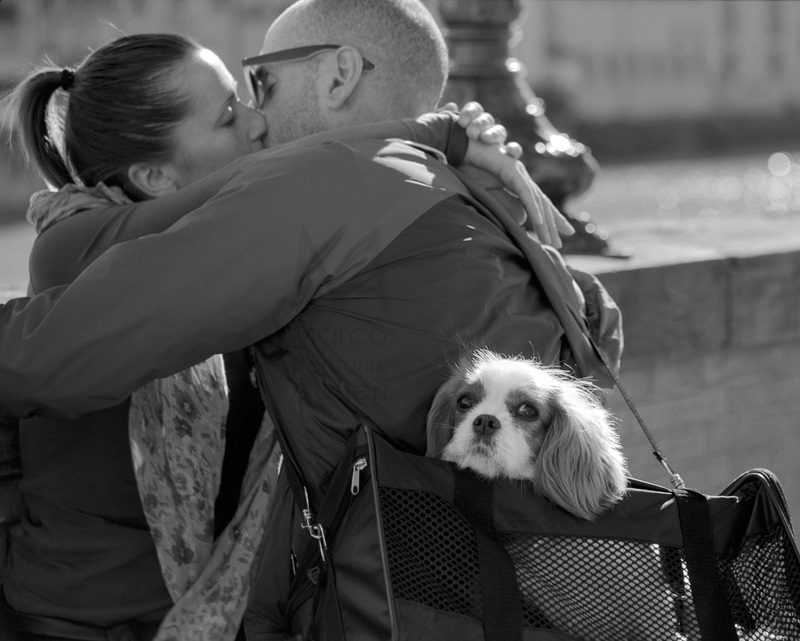 Temperature is objective but the way we feel it is different from the way our dogs feel it. Let’s say we are in the car and outside it’s hot. 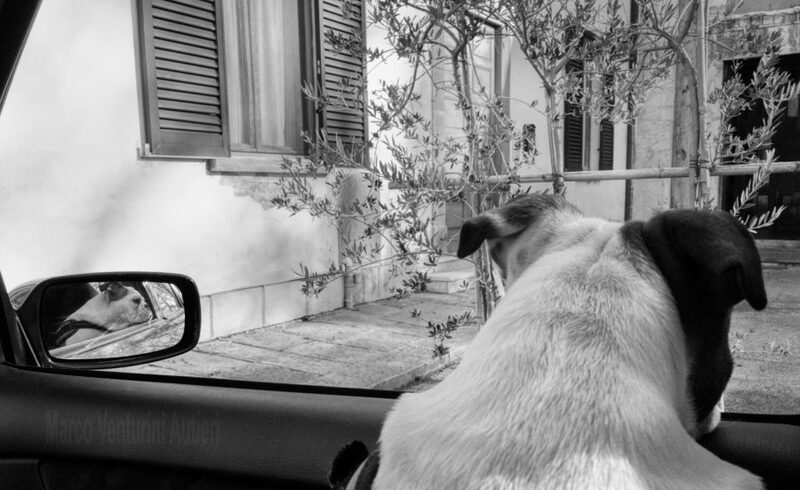 If we switch off the air conditioner and open the windows, the wind may invest us and make us feel comfortable; however we’d make a serious error if we believed our dog would be feeling equally well. In fact she would not feel the benefits of the cooling of the sweat (because they have very little of that) on the skin (because it is not directly exposed to the air but covered in hair), so she would just perceive the hot air as if there was no wind. 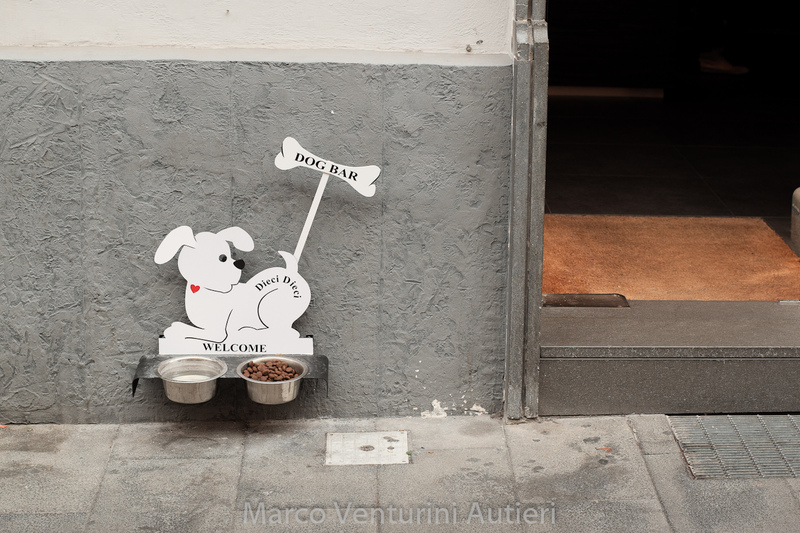 This shop (“Dieci Dieci”) in the Chiaia District cares for pets and creates a spot where dogs can find water and food, near the entrance. You can’t control climate but you can do your best to control the microclimate in the restricted environment around your pet: the car. If you’re traveling when it’s hot (during the day), you need air conditioning. If the car’s engine fails, the air conditioner fails and ultimately the bulldog will fail too. So, you must take care of your car with check-ups and maintenance before departure, because the car must not stop and the air conditioner must provide fresh air. Therefore, in addition to a thorough car check-up, I also took care of recharging the air conditioner’s gas (in this way the air will get cooler and cool faster) and replacing the car battery because in most cases there isn’t a viable way to assess its health condition. 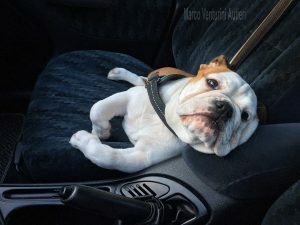 Firstly, although it may seem obvious, we must take with us all the things that she usually needs normally at home: medications for instance, or all those tricky bits that we use with our bulldogs, that become daily routine and that therefore can be easy to forget because we take them for granted. Some of these things may be needed only periodically (if for instance she needs medication early in the morning and out trip is in the evening, we won’t need to take that with us), but some other things could be always handy (if we use a particular toy to calm the bulldog, that toy will be useful in the trip). Secondly we must consider all those additional things that we could make use of during the trip. In this case my attention goes to whatever can effectively cool the dog, or keep her cool. Keeping in mind that once the heat stroke arrives, it is too late (the only thing you could do then is immerse her in fresh water, and then take her to a clinic), the stuff that I packed served the purpose of moderately cool her, and this in turn has the double purpose of avoiding overheating and keeping the dog calm, because a nervous dog with discomfort is also a dog that is more prone to overheating. Dafne does not stay put, she wants to look outside! bottles with water and compressed air, that not only wet but also moderately cool when the gas expand on ejection. I direct this on her belly, where the hair is less, or also on her mouth. She enjoys it. Instant ice, used as above in those occasions when the dog has been exposed to heat for longer than she wished for. Use only once, so quite expensive, yet don’t hesitate if you see her getting hot, because it works to prevent a heat stroke, not to cure it. 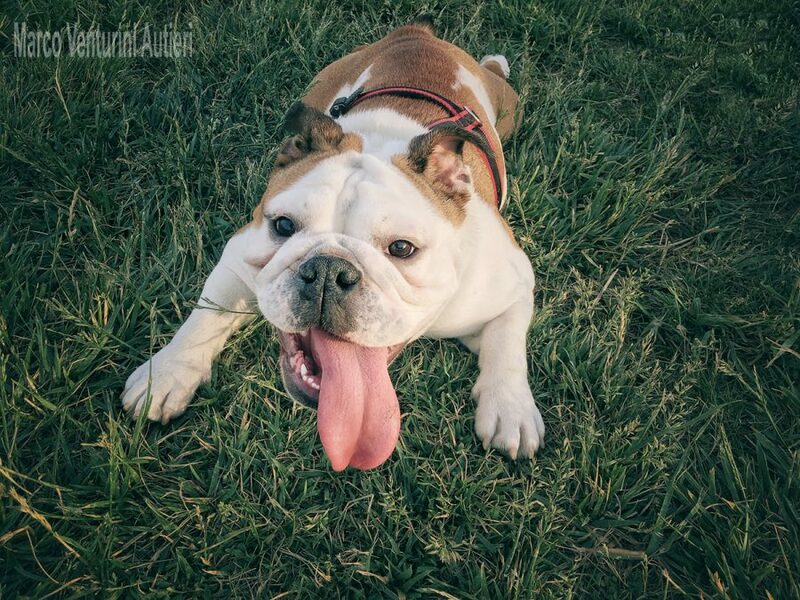 Most bulldogs will prefer staying at home rather than facing the oven-hot outdoors. If it is safe doing so, it is what I do. I make sure that the air conditioning is up and running and that the room is already cool before leaving her alone (in this way, should the device fail in my absence, the room will start heating up from cold). No air conditioner is sold with the condition that it won’t fail because somebody’s life depends on it (as it could be the case for some hospital appliances) therefore don’t take for granted its reliability. Call beforehand to book; and ask for a table indoors; ensure they have air conditioning. Especially if the restaurant is located in a beautiful spot (e.g. at the seafront), it is likely that most patrons will be sitting outside and that the air conditioner inside is left off. Be prepared to be the only ones eating inside while all the others will be enjoying the sunshine outdoors! It isn’t easy. 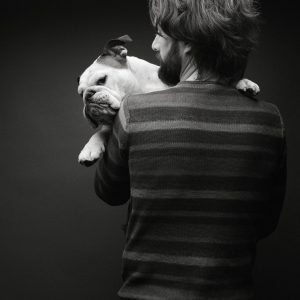 The pleasure that comes from parenting a dog is perhaps proportional to the effort it requires. 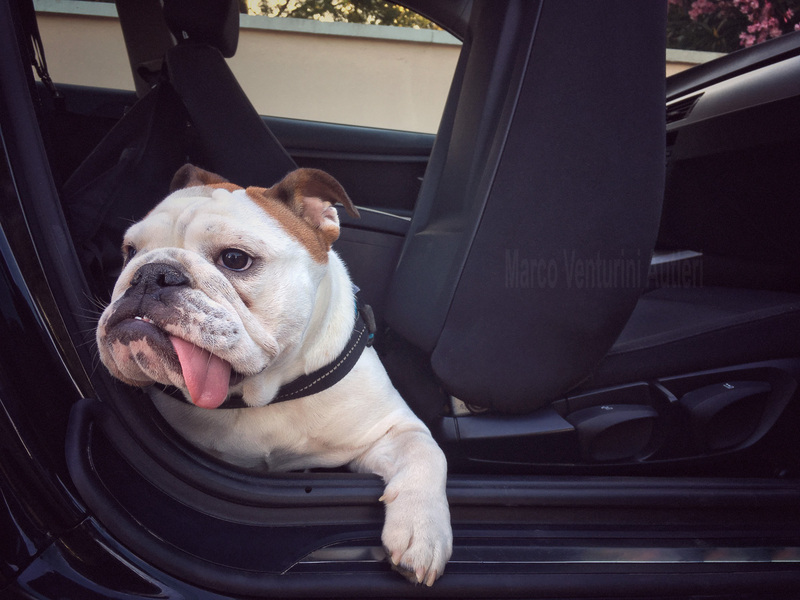 Bulldogs require plenty of extra effort: let us all hope there is plenty of extra pleasure for us as well!